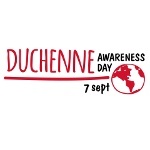 World Duchenne Awareness Day is an international observance dedicated to a severe type of muscular dystrophy. It is observed on September 7. Its main goal is to raise awareness of Duchenne muscular dystrophy and the importance of early diagnosis and daily therapy. Duchenne muscular dystrophy (DMD) is a severe type of muscular dystrophy. It is an X-linked recessive genetic disorder associated with mutations in the dystrophin gene. DMD was named after Guillaume-Benjamin Duchenne, a French neurologist who discovered and was the first to describe the disease. DMD affects mostly males due to its mode of inheritance (one in 3,500 newborn boys is affected), but females with a single copy of the defective gene sometimes show mild symptoms. The first symptoms of muscular dystrophy usually begin around age 4 and worsen quickly. By the age of 12, most boys with DMD are unable to walk. Common problems associated with Duchenne muscular dystrophy include scoliosis, problems with breathing due to weak breathing muscles, cardiomyopathy, and intellectual disability. The average life expectancy is 26, but with excellent care and therapy some patients may live into their 30s or 40s. World Duchenne Awareness Day is celebrated under the patronage of the European Parliament. It aims to raise awareness of the disorder, as well as to spread information about physical therapy and other treatments that help to maximize the quality of life.